Sparking Outlets: Are They Dangerous? | Patriot Electric Services Inc.
You’ve probably seen it plenty of times — a small blue spark when you plug in an appliance. Most of the time, this is a normal and harmless event. But it’s worth paying attention to, because some sparks can be early warning signs of dangerous problems. Your home’s electrical system is divided into circuits, and some circuits may have multiple outlets along the way. Electrical current runs hot and fast in this continuous loop, and the outlet is the point where an appliance can “hop on”. When this happens, there’s always a split second when the plug and outlet connections are almost touching, and the electrical current can reach across that gap, producing a spark. Whether you see it or not, this happens every time you plug something in, and it’s completely safe and normal. But there are other types of sparking that are cause for alarm. What Makes a Bad Spark? Long sparks.A safe spark will come and go in a flash, but one that fizzles and lingers is a sure sign of a problem. Big sparks.If sparks are leaping out of the holes in the outlet cover, chances are they’re not harmless type. Yellow or white sparks.The benign sparks you see when plugging in an appliance are usually visibly blue. Smelly sparks.If an outlet spark is followed by the smell of smoke or melting plastic, you may have an immediate problem and should immediately shut off the outlet at the circuit panel. Short circuiting.If an outlet’s hot wire is touching its neutral or ground wire, it can cause a short circuit. When this happens, the outlet draws excessive current and produces significant heat, which can melt wire sheaths and even cause a fire. You can shut off the outlet’s circuit breaker and remove the outlet plate to check for visible signs of scorching or melting that would indicate a short circuit. There may be a leak within your walls, or perhaps water has splashed in through the outlet cover. But if you have moisture in there, there’s potential for sparking caused by short circuits and other electrical damage. 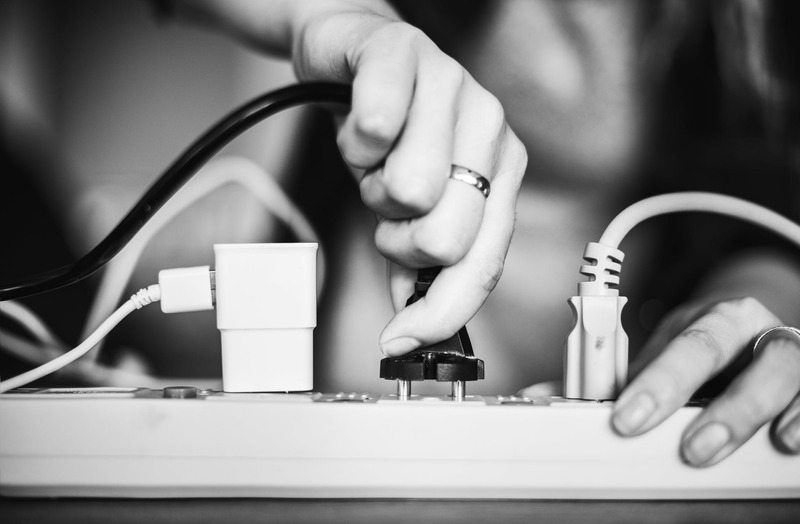 The more appliances and devices you have plugged into a single outlet, the greater the potential for sparking. Spread your appliances out responsibly across outlets and circuits. Old outlets.With repeated use over time, the electrical contact points inside your outlets can wear out. In cases of extreme wear, this can result in significant electrical arcing. Improper repairs.If you see sparking in an outlet that was installed or repaired by someone who lacks the required licensing and certifications, you should have the work inspected by a licensed electrician. Are you seeing troublesome sparking in one or more of the outlets in your home? Unless you’re sure it’s the result of safe, ordinary use, reach out Patriot Electric Services 903 954 2525 for a thorough inspection or a service call.